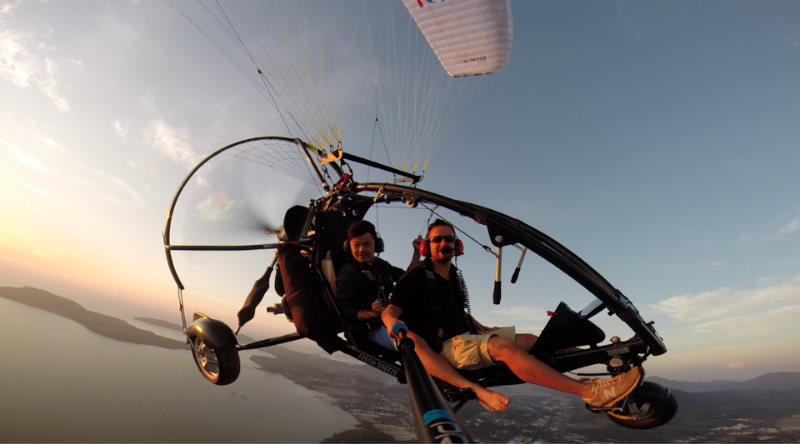 We offer tandem paramotoring (powered paragliding) flights located between Bangkok and Pattaya through “Paramotor Thailand”. All of our pilots are licensed and insured. We fly everyday, but mornings offer the best weather conditions. Come join us for a flight with one of our experienced pilots!